It is best to buy your tripod legs and tripod head separately. The best brands are interchangeable so you can match the legs you want with the tripod head that you want, even if they are from different companies. For years I have been recommending Bogen/Manfrotto and Gitzo tripods. They are clear favorites with professional photographers. For a “normal” size tripod (it comes up to the eye level of a standing adult male) I have been recommending the Bogen/Manfrotto 3021 series and for a smaller and lighter weigh tripod I have been recommending the Bogen/Manfrotto 3001 series. The primary disadvantage to the 3001 series is that you have to bend over a little to use it when standing up. At its maximum height, it doesn’t come up to the eye level of the average adult male. But it is small and light weight when those are primary considerations. 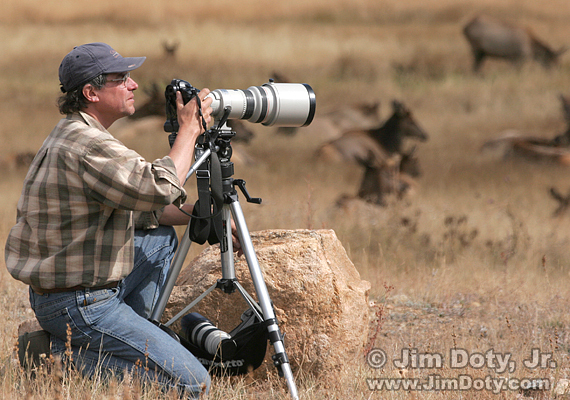 I’ve been using my 3021 and 3001 tripods for over 20 years and they have held up very well. I have replaced a few parts (like lever locks on the legs), but that is part of the beauty of products handled by Bogen Imaging, economical, easy to get replacement parts. The 3021 and 3001 models still turn up on the used market and make a great buy. If you are looking for a smaller, lighter, economical tripod that is still sturdy and very well made, it is tough to beat the Manfrotto 190 series. The basic model is the Manfrotto 190XDB. I prefer the Manfrotto 190XPROB because it is so convenient to move the center column to the horizontal position. For a normal size tripod in the 055X series, I recommend the basic Manfrotto 055XB. The Manfrotto 055XPROB makes it easier to move the center column to the horizontal position. The lighter weight of a Mountaineer carbon tripod tripod is a huge asset when carrying gear into the wilderness. I recommend the Gitzo Mountaineer GT1542T for a good combination of light weight, small size when closed (21.3 inches), reasonable maximum height with the center column down (54.3 inches) and a very workable maximum height with the center column up (62.6 inches). With the head off, it fits into an airline legal carry-on. It’s tall enough to do what I want it to do out in the wilderness. If you prefer a taller tripod, their are other models available like the Gitzo Mountaineer GT3541L which has a maximum height of 71.3 inches with the center column up. An interesting alternative to the Gitzo Mountaineer series tripods is the National Geographic Expedition MagFiber series. For the best balance of fewatures for the outdoor photographer, I recommend the National Geographic NGET2. Closed it measures 22.6 inches. The maximum height with the center column down is 53.3 inches. With the center column up, the maximum height is 66.9 inches. It has retractable rubber feet for smooth floors and spikes for outside use. If I went out to buy a tripod today, this would be high on my list. The Manfrotto, Gitzo, and National Geographic tripods are all distributed in the United States by Bogen Imaging. They are a first class company and I have dealt with them for years. You can find Manfrotto, Gitzo, and National Geographic tripods in this section of my photography store. For the photographer on a tight budget, you can get by with a smaller tripod like the larger models in the Gorillapod series, like the Gorillapod GP3 with the matching Joby BH1 ballhead, or the Gorillapod Focus with the matching Joby BH2 ballhead. Just make sure you get a size that will handle the weight of your camera and heaviest lens. You can find Gorillapods in this section of my photography store.